This fossil cast of the dinosaur Triceratops tibia bone. 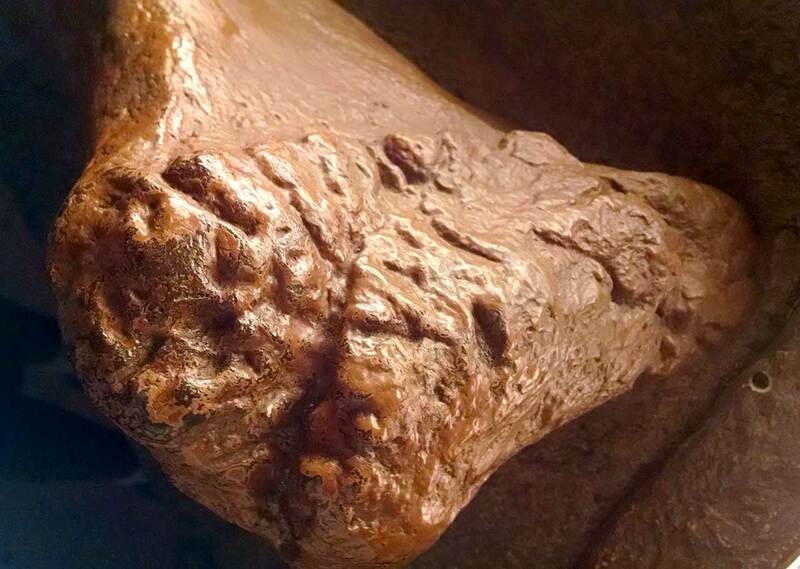 It shows evidence of gnaw marks from some type of predator or scavenger. 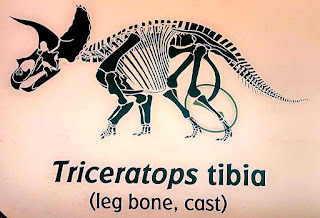 Fossil cast was on display at Children's Museum of Indianapolis Dinosphere exhibit as of July 2015. The museum was founded in 1925 and consists of an approximate 44,000 square meter facility on a 29 acre area site. Their natural science collection contains more than 10,000 items. 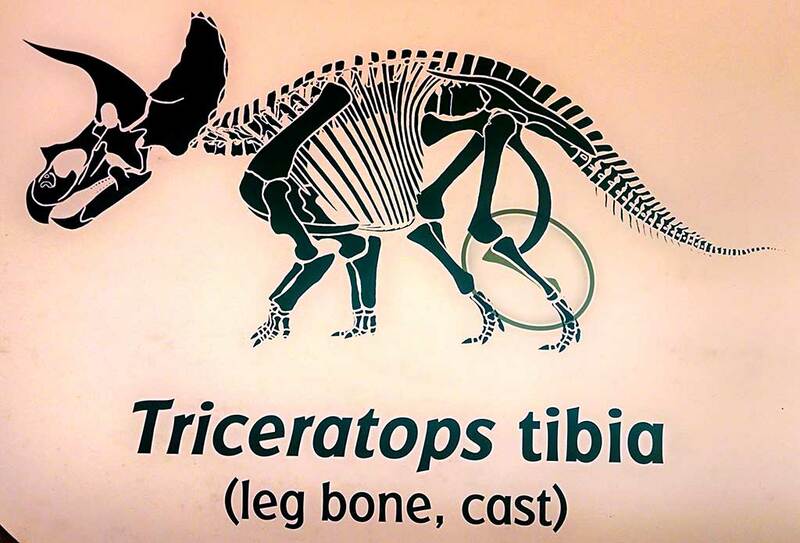 Some of the items in the collection are the dinosaur Dracorex hogwartsia, fossil of teenage T.rex, Christensen Mastodon, 3.5-4 billion year old Acasta Gneiss, and the Geisler geological collection. Learn more at this link.